When things in our lives don't go our way we often ask ourselves, "why?" We can easily become discouraged and frustrated when we fail or when we don't reach our goals. 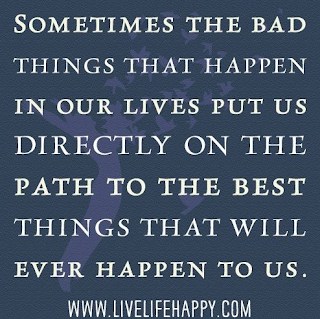 But when those bad things in life occur, they are often placing us on the path to success. They are helping us get to where we need to go. 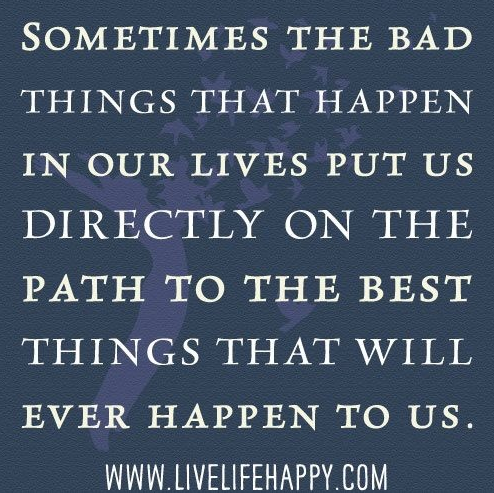 We can become sidetracked by many things in our lives. We want something so badly that we will do anything to get it. But when those things don't happen, and time moves forward, we may find ourselves much happier than we would have ever been.